How does one come off, detox from and rebalance their hormones after hormonal birth control?! 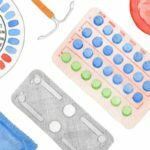 The post-pill or post-IUD aftermath varies but the challenges it may bring are often surprising. Your doctor may tell you that the acne you have 6 months after is unrelated to quitting birth control, but that couldn’t be farther from the truth! 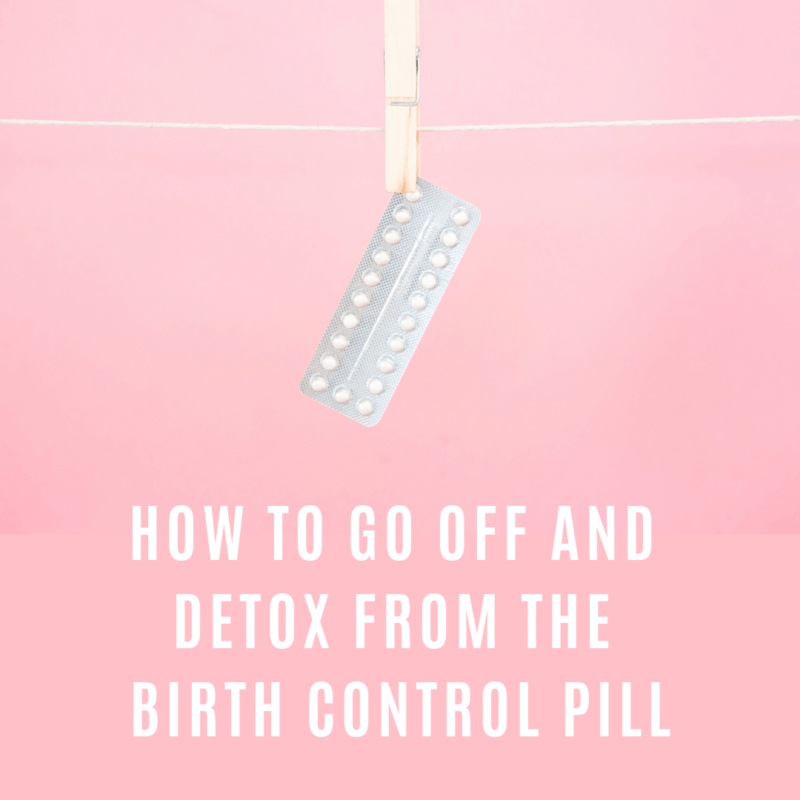 If you are still on the pill, I recommend reading my post on how the pill really works first, then come back to this one. 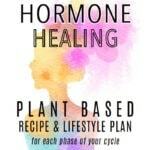 I’m not a doctor and this more holistic-based 7-step protocol may not work for everyone, but I have changed my focus to balancing women’s hormones naturally this past year by becoming a Certified Hormone Specialist, and I’ve learned so much! I wish I had this info when I quit the pill 5 years ago. Once again, I’m not against using birth control, I think all women should have the choice but we are not getting the full story and that is a problem. Women don’t know what they are getting into before going on a medication that turns off their hormonal system and natural rhythm. Until they are fully equipped with knowledge of how the pill (or a hormonal IUD) works, how it may affect their bodies as well as all possible side effects, only then do I believe she can make an educated decision about her reproductive health. Education is lacking in a major way (before going on the pill or IUD and after quitting it too). Coming off the pill or IUD,, you may experience a host of symptoms before finding equilibrium again. This could take anywhere from 2 months to 1 year or longer, depending on how long you were on this medication and how your body reacts. It took 6 months for me to get my period back and 1 year for it to be semi-regular. The process doesn’t have to be so difficult though, if you prepare your body beforehand, which is exactly why I’m writing this post! To help you. A few months into quitting, it may feel like you are taking 10 steps backwards but trust your body that the symptoms and irregularity are temporary, and SO worth it. I say this because your initial thoughts from unwanted symptoms may bring you to consider going right back on the pill but remember, your body is powerful and working hard to get things back in balance. Let it do the work! Your body must reestablish equilibrium someday, you know? What is the alternative? Staying on the pill until menopause? 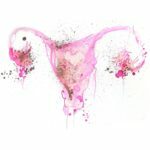 How Should I go about getting off the pill or IUD? I recommend preparing your body for 2-3months before stopping (per my recommendations below). Prep your body, finish out your last pill pack and say hello to your hormones again! Quitting cold turkey without any body preparation may make this much more difficult. The goal is to make this as smooth a process as possible so you can feel your best while your body rebalances. This means there are steps to take before and after, in order to support and wake up your natural endocrine function. After all, your hormones have been asleep for however long you’ve been on the pill or hormonal IUD! They need time to wake up, and they may be very groggy or lazy at first, which is totally normal. You may not even notice any symptoms until 3-6 months after stopping the pill when your hormones really come back to life. All of this is NORMAL. Step 1: Nourish, Nourish, Nourish! Diet plays a HUGE part in this process. 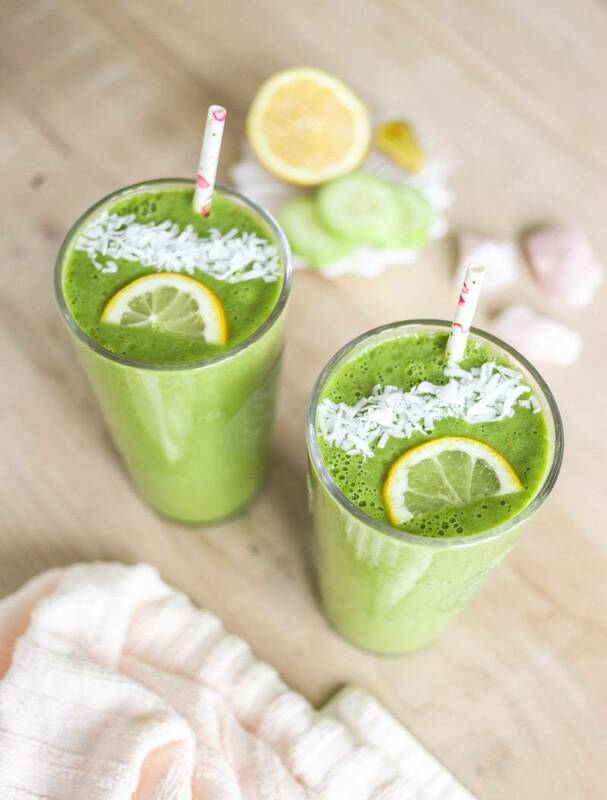 It sets the groundwork and foundation for healthy detoxification, digestion and well-being during this transition. Clean up your diet because none of these steps will work without a clean foundation. This means 2-3 months before stopping the pill, feed and nourish your cells with real, whole foods (and continue after quitting the pill too, obviously). You want to stay away from anything processed and avoid inflammatory foods (gluten, dairy and refined/processed sugar) during this time to prime and optimize bodily functions. Think lots of leafy greens, all the fruits and veggies (and starchy veggies like squashes and sweet potatoes), plenty of healthy fats (avocado, nuts & seeds, and cold-pressed oils like avocado oil or coconut oil) and small amounts of gluten-free grains/legumes like quinoa, brown rice, beans and lentils. Keep it whole and keep it as fresh as possible. and so many more here! Use food to nourish and move things along more quickly. Also, HYDRATE! Drink half of your body weight in ounces of water per day. Add fresh lime or lemon to spritz it up. 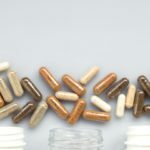 2-3 months before quitting, begin supplementing with all of the supplements in my Essential Hormone Balancing Supplements post! Before I went off the pill, I used to read post-pill articles and completely gloss over the sections about replenishing lost mineral stores, literally thinking “I’m fine. I’m healthy and I eat vegan so I don’t need extra vitamins or minerals”… um what on earth was I thinking?!! 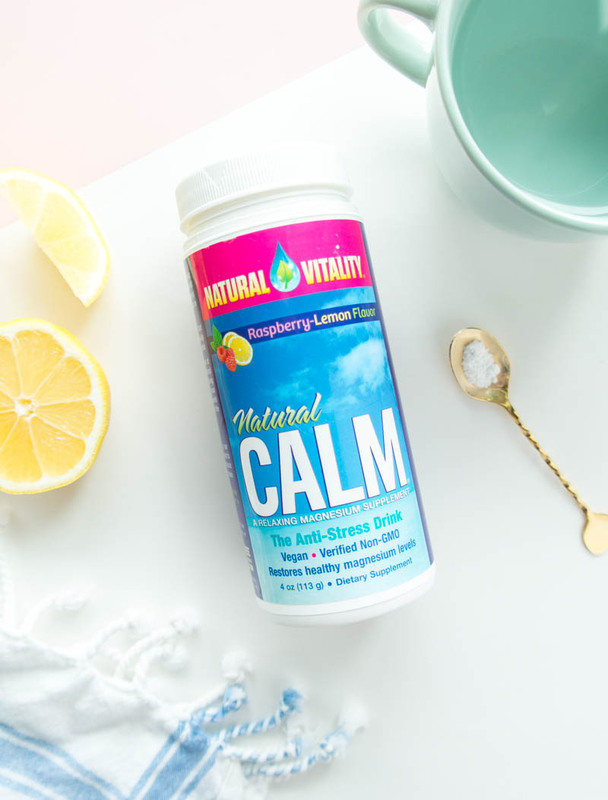 I was “too good” for vitamins but if I had replenished my magnesium, zinc, probiotics and b-vitamins (the pill depletes all of these), I could have eliminated a great deal of emotional pain and trauma from my post-pill acne and PMS. I remember crying in the bathroom every morning wondering what was I doing wrong? Why was I 26 years old and STILL dealing with acne? It was traumatic and could have been prevented if I had known how to transition off properly and give my body the nutrients it needed. Plus, we can only eat so much kale and broccoli in a day. Sometimes out stores are so depleted that we NEED extra nutrition in concentrated forms, in way of supplementation, and it is totally fine. Sure our genetic makeup, lifestyle and stress levels can affect the re-balancing process, but no one is “too good” for supplementation. Sometimes getting vitamins and minerals from food alone is not enough. 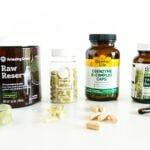 Plus, the minerals in our food supply are so depleted (unfortunately), so supplementation is imperative. Especially after stopping birth control because it depletes your nutrient stores. Start by loading up on folate, zinc, B-complex, magnesium glycinate, iodine, selenium, vitamin D3, iron, a great probiotic, and an algae-based DHA/EPA. All of these are essential and will make a world of difference in your post-pill life. Continue taking them until your period is regular and you feel great, or until you get testing done to see where your nutrient stores and hormone levels are at. ** Before taking a supplement like Vitex (chasteberry), it’s best to see if your cycle returns on it’s own, so wait at least 6 months before starting it. Vitex is a powerful adaptogenic herb that is often used post-pill to help your body make hormones again, help bring your period back, and help regulate your cycle overall. If you do decide to take Vitex, don’t take it for longer than 3-6 months maximum at a time, then stop and see how your hormones are without it. While implementing the above steps, go one step further with DIM (diindolylmethane) or milk thistle for liver detox and support. 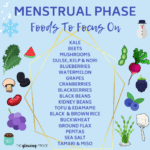 This will help a great deal with PMS while leveling out your estrogen in relation to progesterone, and help bring them into ideal ratios throughout the month. Yes your liver can use the extra support, despite what some health practitioners say! Because the liver is responsible for getting hormones ready to be moved out by way of elimination, the liver has extra work to do, to rid of the synthetic estrogen. It’s no secret the pill and other synthetic forms of birth control take a toll on the liver, and this vital organ must be functioning at it’s best for happy hormones. 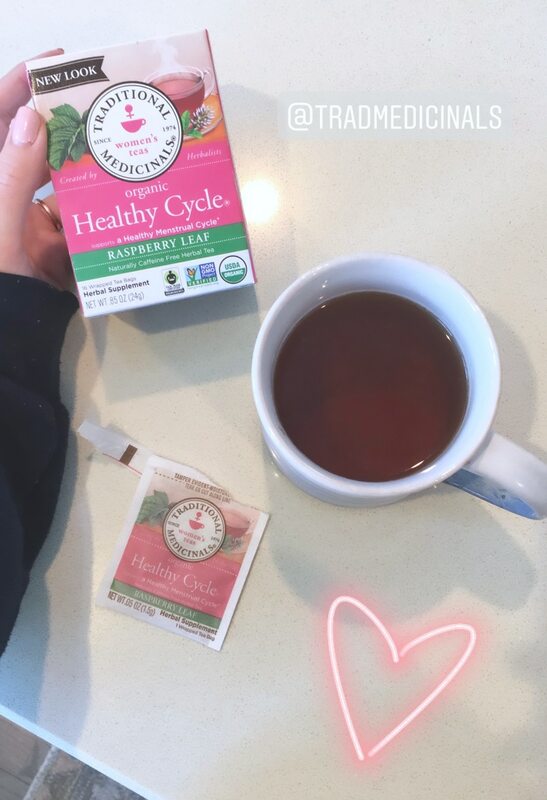 Also, feel free to include dandelion root tea, the Healthy Cycle tea, and tons of lightly steamed or roasted cruciferous vegetables (which contain a lot of natural DIM – diindolylmethane). You can start taking DIM or milk thistle before quitting birth control, too. I already mentioned high-quality probiotics above but adding in fermented foods will help restore your microbiome too, since the pill interferes with the healthy bacteria needed for a thriving gut (sounds so weird ha, but so true and important). Including raw sauerkraut (my fave brand is Farmhouse Culture), kimchi, pickled veggies, unsweetened coconut yogurt and coconut kefir will bring a variety of good bacteria back to your gut. L-glutamine also helps to repair your gut lining and feels very soothing in your tummy! Also, in order to properly eliminate estrogen, you must be having daily bowel movements. If you’re not pooping everyday then you need to dig deeper and figure out why. Are you drinking enough water? Are you eating enough leafy greens and cruciferous veggies? Are you taking digestive enzymes? Are you drinking CALM magnesium tea at night before bed? Only you know the areas in which you can improve. After stopping any sort of medications, a great way to give back to your body is to get a colonic! 2-3 sessions of colon hydrotherapy can make you feel like a new person. They say that healthy eating acts like “soap” as it scrubs your intestines and colon, and then colonics act as the “shower” to wash it all away. I truly believe it can help kickstart your new journey to bringing your body back into balance. Colonics can help eliminate candida, yeast overgrowth, bloating, the “heaviness” feeling, stomach pain, constipations, acne, fatigue, brain fog and so much more. This may be my #1 tip for all ladies coming off the pill, or just in general! Colonics have been life-changing for me in the BEST possible way. I feel so clear-minded and refreshed! Do you remember what your periods were like before the pill? If not that is okay, it only might infer what your period could potentially look like post-pill. If you had problems with your cycle before going on the pill, chances are they may return because the pill temporarily masks any underlying menstrual issues. Consider this a chance to connect and take control of your health. You’ll want to prepare your mind, and know that whatever happens is temporary. Giving your body time to adjust is of the utmost importance as well as enough rest and downtime. Flooding your cells with as much nutritional support and love as possible will only help! Mindset is a large part of the detox process too, so set positive affirmations that everything will work out, and your body is good to you. I would start charting as soon as you stop taking the pill. Take notes and keep track of any and all symptoms in an app (like Natural Cycles or MyFLO tracker) or in a journal, as well as when bleeding starts and stops. Do you feel cramping mid-cycle? That could mean you are ovulating which is a great sign that your body is working to get back into balance! 3 months after quitting the pill, it may be worth it to get your hormones tested, if you are curious to know where your levels are at. It’s a great time to test nutrient levels too (you must ask for a FULL blood panel with iron, all the b vitamins, zinc, etc., otherwise they won’t test them. There are at-home hormone testing kits that make it super convenient and easy to see where you are at. This information will guide you in accessing steps to take depending on what imbalances you may have. I use the Women’s Health and Fertility Test from EverlyWell to see where I’m at for peace of mind! You can then bring the results to your doctor or naturopath so they can help guide you in steps to take. 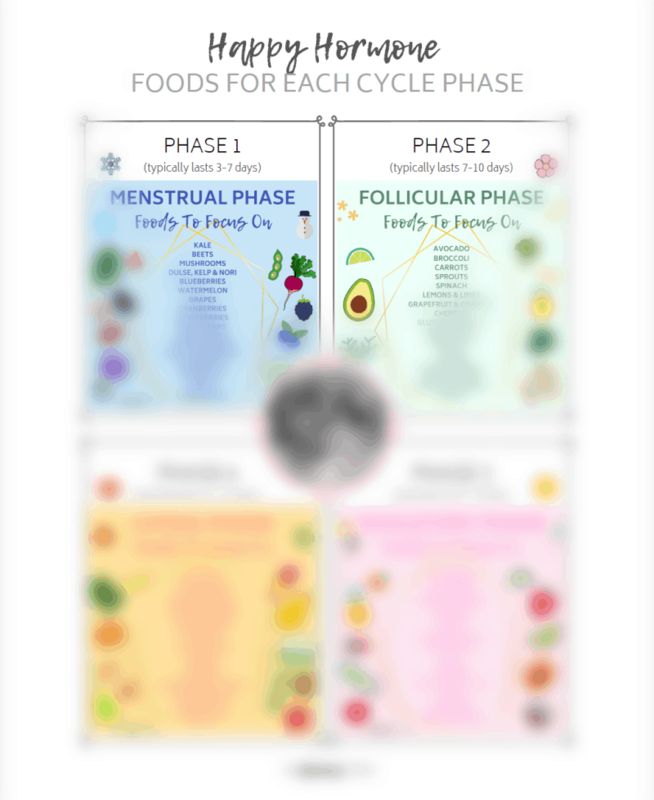 Click Here to Download this Food Chart for each phase, print it out and hang it on your fridge! I hope this super long post helps you! It took me quite some time to put together 🙂 Let me know any questions or comments below!